Chingri Malaikari or Prawn Malaikari (no relation to our dear Malaika at all), is a very famous and popular Bengali entrée served with white Rice or Pulao for lunch or dinner on special occasions. I saw it described somewhere as an “Elegant Bengali Classic” – that definitely sums up this dish. It is so delicious that I want to run down and have my dinner right now instead of writing this up. I made it this Sunday as a pre-B’day treat for my husband and this write up is for Chandrika of Akshyapatra who said she would like to have the recipe of a certain prawn recipe she had at her Bong friend’s place and which I guessed to be the infamous Chingri Malaikari. 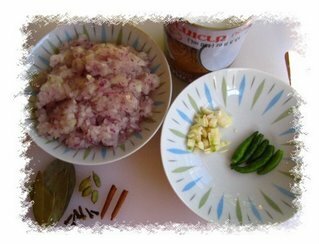 So most people think that coconut or coconut milk is not a popular ingredient in Bengali cooking, but it is in many of the special Bengali cuisines. This particular dish is cooked in a spiced up gravy of coconut milk and involved a lot of hard work for my Ma back in India. Since life & it’s commodities in India was not universally canned or processed back then, she had to press the grated coconut to extract the sweet white coconut milk. Here in the US, life is much easy and you just pick a can of coconut milk off the shelf of your grocery store. I guess this and the abundance of prawns, is also a reason why you would find Prawn Malaikari a part of the menu in most Bong parties in the US. For today’s preparation I got ½ lb of large prawns with heads on and ½ lb with heads removed. The reason for this being the prawns head being very very tasty adds a fourth dimension to this already delicious preparation. However if you are not very familiar around prawns, I would suggest you get only the ones with no head , as the prawn head has to be delicately cleaned. For shrimps with heads, carefully remove only the front portion of the head the eyes etc., do not remove the entire head, you want to keep the liquidy thing inside the head. Get this recipe in my Book coming out soon. Check this blog for further updates. Meanwhile grind the onion to a paste.Note: If your onion paste tends to turn bitter, saute the onions until translucent and then make the paste. 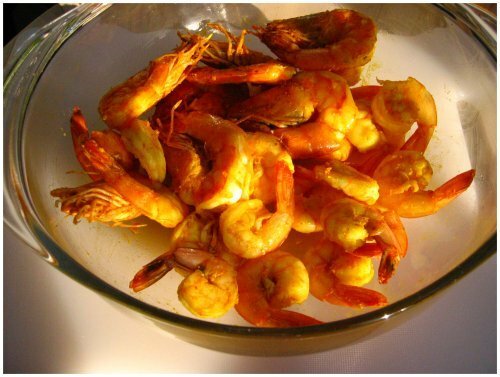 Lightly fry the prawns so they turn golden in color, do not deep fry like other fish. As soon as the prawns turn a pale golden take them out put them on a paper towel. In the same oil, add the chopped garlic. As soon as the fragrance of the garlic rises, take out the garlic from the oil so that the oil is now garlic flavored but there is no garlic in the gravy. Add the ginger paste and cook the masala. Add a little water (about 1/3 of the can) in the can, mix well and add it too. Add Red Chilli Powder, very little turmeric powder and salt. When you see the oil surfacing on the gravy add the fried prawns. Cook on low for some more time till the gravy thickens and acquires a creamy consistency. Do make it a point to try out this dish, you will find a dinner of white Basmati Rice & Chingri macher Malaikari is nothing but unadulterated pleasure. Trivia:It seems our very own dada, Sourav Ganguly is very fond of Chingri Macher Malaikari and his wife Dona serves him this every day when he is at home. Sorav, better get your cholesterol checked. This is the blog that I desperately needed. Now I can make my Mom proud. v nice write up, sandeepa! nice golden prawns pic too! Sandeepa, you are such a sweetheart! Thank you so much dear! This is exactly what I had and I have been longing for this for the past four years! The photo looks sooo yummy that I want to grab it right off the blog... I will make it this weekend and will write a post with the credits going to u... Thank you once again Sandeepa..You are wonderful! sandeepa - this looks delicious :) will be making it soon. Sandeepa, the prawn looks delicious, if only I could grab some. Family loves prawns, I am going to try this one real soon. something is fishy here.:). wonderful looking curry. thanks..you are familiar with this right ? Good to know this is the one you wanted :) Try it out and you don't need to give me credits. Hi Sandeepa, I'll update my prawn recipe soon. Sorry I couldn't do it earlier due to health related family emergency. Do you know if there is a diff between prawns and shrimp. Because as far as i can tell all the chingri that is available in the US is shrimp and not prawn. I'm just assuming it is a diff species or something. I really like the photos that accompany your write ups. chingri macher malaikari ta darun dekhte hoeche. sorry, eto sundor malaikarir jonno ingrijite comment likhte ichche korlo na. Wow Sandeepa,your chingri macher malaikari is making my mouth water and i love love love prawnn curry. Beautiful pics too. I will definitely try this one.Thanks for stopping by my blog. tomay dekhchina recently, shiter dupur khub ghum dicho naki ? thanks I cannot see your profile or your name after moving to Beta. Hi Sandeepa... It's Sri from daavat...what could be the problem?Is it happening to everyone? I hope its fixed soon.Your Rajma keema looks delicious too. Great blog and nice recipes and pix that make this worth coming to, time and again. May be a good idea to reference my blog on yours in reciprocation, if you wish. I cooked the chingri malaikari.And I can say the recipe was perfect. It worked so well that I decided to write to you. Thanks you have got a new admirer to your blog. Hi, I prepared this dish for dinner tonite and my hubby just could not stop taking 2nd,3rd,4th helpings:)) which is a gr8 compliment as he normally does not like the sweetness of malai curry..btw,i too could not stop taking multiple helpings..hehehe..Thank u for a deliciousss and detailed recipe!! Hi Sandeepa, I tried this today for lunch..I over-ate so much. Now I feel like a stuffed teddy bear :) Did not ever know that coconut milk tasted so good in recipes...Thank you. wow this dish looks tasty...as a newbie to bengali food, i'm glad that the dish isn't too difficult to make. i'll have to try this soon! I made this dish and it tasted awesome. However I found one problem ... little bit of coconut oil came out of the coconut milk as I boiled the gravy to thicken it. As I had initially used mustard oil .. it gave a combined taste of mustard oil and coconut oil. Can you please let me know if the coconut milk can be added in the end to avoid this scene? C. Milk cannot be added in the end as it is what makes the gravy. Did you stir the c. milk well and add it ? Yep I did :(. Actually when we make chicken stew or vegetable stew in the Kerala style initially the light coconut milk is used and in the end the thick coconut milk is poured to thicken the gravy and it is taken off the heat. thanks a lot - this will be a real treat for my husband on his birthday - was getting a lot of recipes on the net - just didn't get "Ma's preparation style"
Think now even i can immitate the rich aroma , which use to welcome us in ma's kitchen. Thanks a ton for the wonderful recipe..it rocks! I tumbled onto ur blog while googling for the recipe of Chingrimacher malaikari. I am a BONG currently living in shanghai & I just LOVE your recipes..Pls continue posting. 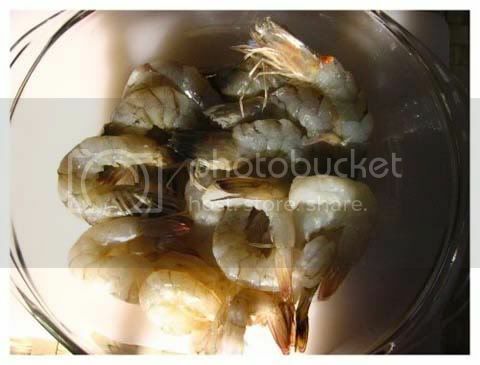 I was searching for recipe with pictures of shrimp malaikari and found your blog. Khub sundor lekhata. I am giving this link to my american friend as she asked me for the recipe.keep up the good work.. Thank you for this recipe. Can you tell me the measurements for the oil and for the chili powder? I don't measure out the Oil :(, I am used to the Indian way of cooking from instinct. I suggest you start with a little and add sccordingly. I am a very naive cook at least in terms of these delicacies....I wanted your suggestion regarding what kind of prawn would be best for this dish, I mean bagda or golda, size, if you can name any brand here which would be the best. I am going to make it, going to give it a sincere effort. thanks for the recipe, was having a craving for the dish for a few days now. will try it out as soon as I go home from work. I remember my mother adds sour cream in “chingri machher malai curry”. Is not the name "malai" curry came from malai or curd or yogurt...?? However I guess your recipe was definitely delicious and just not adding sour cream will not let the taste down. Malai is because as far as I know due to use of Coconut Milk in this dish. Thanks for sharing the recipe...just my 2 pence..i know its not a very authentic way of going about it but if you add some pureed tomatoes to this then it makes a lot of difference to the taste without losing the delicate balance of the dish.Toss it in after you are done sauteing the onion,ginger,garlic etc. Also, the coconut milk is best added at the very end because then the flavor is retained and it does not need much cooking anyways. I tried the recipe today .It was awesome . Issh apu, dekhei ki j bhalo lagche. Ami kal e eta ranna korbo ar amar blog e apnar naam die ekta post debo. Thank you so much. Your recipe seems so sensible (compared to what my Dida demonstrated for me a couple of decades ago) that I have chosen to try it for tomorrow's lunch. I'm hosting an all Bengali lunch for my Greek friends. As a Bengali girl married to a Greek man, I have seen my fair share of irresistible ethnic delicacies. Your blog is a good repository for my side of the family. Keep it up. Shrimp malaikari was awesome...me and a friend cooked it together and this is best and only shrimp malaikari I have cooked so far...:-) I hope to make a lot more since this turned out so delicious... Thanks a lot! Thanks for this recipe. It will make my Bong hubby happy. I was wondering if you have any prawn dishes with mustard seed. I remember having something, maybe fish, maybe prawn with mustard and it was good. I'd love to find out what it was and recreate it for said hubby.Thanks! I tried this recipe step and step and you wont believe, my husband loved and relished each and every drop of the gravy....The color, the flavor and the exact balance of coconut with spices.. simply awesome !! Am planning to totally make this for my family when I go to India.. Hope I wont mess anything there.. am taking a print out of this recipe with me.. I really liked your preparation and the way you brought it out. Will surely try it out and let u know. Sandeepa,I love cooking myself and have come to using your blogs as a sort of reference check :-). Like the easy humour in your writing. Great site...!! & great help!! 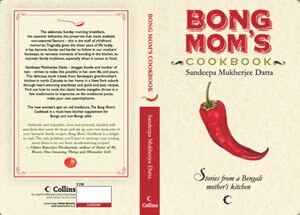 stumbled on your site while looking for chingrimacher malaicurry and im over the moon to have found "Bong Moms Cookbook"- subscribed straightaway..
your malaicurry recipe is so easy to make and yummm. i specially liked the added subtle flavor of garlic !!! Saw the begun chingri post, but chose to make this, with fresh coriander leaves added to the onions while making it a paste. Gave a nice color to the dish, and tasted good too. This is almost how my mom makes it but instead of onion and ginger paste, she put 'aadaa pyajer rosh' - grinds and then squeezes out the juice. Was going to make it today - hence was checking sequence of events. I just made this for dinner! Super hit! Thanks a lot for the recipe! I am a single guy who loves to eat.... Not to mention bong food. Hence I love to cook as well. So I am glad I stumbled upon this page and definitely bookmarking it. Looking forward to more delightful and unadulterated pleasures from your cuisine. 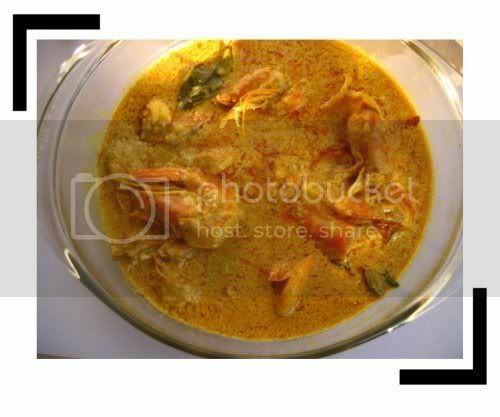 i think the prawn malai curry pic is stolen from your site. I am an 18 year old and you have simplified the recipe so much that even i did this dish at home with ease. I tried this recipe and followed it exactly as per instructions. Though it tasted ok, the consistency was not at all creamy but watery. Not sure why coz I added the same amount of water as the recipe said and boiled the coconut milk enough too. Even the color was a browny gravy rather than yellow, though I added enough turmeric. I think your Coconut Milk might be the problem. Did you use canned or fresh ? The Coconut milk itself is very thick and creamy and simmering some more would only make the gravy thicker. Also no way can it be brown with turmeric since there are no other spices. If you see through the comments you will see that many people have made it and it has turned out wonderful for all. So I think something went wrong with the coconut milk. Also shake the can before using and make sure the c.milk is pure white and thick. Thank you for the recipe .i tried it once & followed the same cooking method.moreover, the ingredients are so easy to find.everyone liked it very much & thanked you.i going to try it again tomorrow. Hi my email is saimantik80@gmail.com pls send me the receipe.i m a big fan of this site and I need the upcoming book too.on last win I tried chingrir dhan Chana Dan .omg it's just amazing .cant explain.pls send me this receipe.i have to make this on this wknd on a baby shower.pls pls sandeepadi. Hi can you please email this recipe to banishree@in.com. please send me this recipe on ishaelex065@gmail.com . I made it sometime earlier and it turned out too good. can't wait to recreate it again. I would also liek to request for your recipe of Shrimp Malakairi. I bought this dish yesterday and even with teh spicy flavor my kids loved it. I would liek to add this dish as a weekly staple in our home. Thank you. 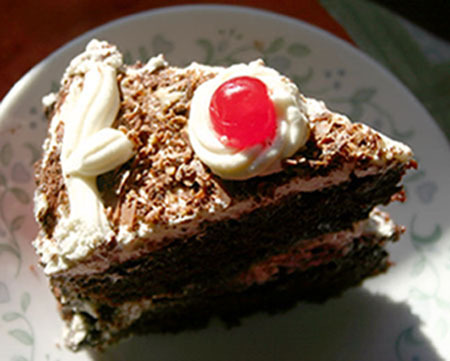 Would you be kind enough to share this recipe back with your readers once more? This being a Bong favorite would much be appreciated. Err hello, who is lonely here I ask ? Are you a trophy wife ? Wow, good for you and your spouse. Be happy, don't be lonely. This is a sure keep..big hit :) thanks for introducing to Bengali cuisine.. I prepared the dish and it became bitter. Do you know why did it happen? I used chopped onion. I should thank you after the awesome dinner I cooked tonight.. My American roommates Kelsey and Charles enjoyed it too - they enjoyed the smell more, as always.. We're totally satiated after that awesome chingri maach'er malaikari! I made Ma sit in front of the laptop halfway around the world in Kolkata, and follow my culinary movements around my own kitchen here in Florida and watch me cook.. she was so proud! :) Thank you Bong Mom! Can you please tell me how much coconut milk is needed? What you mean by 1 can is not clear to me. An exact measurement will be really helpful. I am going to try this recipe tomorrow. Thank you.. I justice your malai curry tonite for my weekend dinner party! I read you blog all the time and recently bought your book too. I owe a lot to my patient ma-in-Law for teaching me the fundamentals of Bengali cooking, but she lives so far away! I am not Indian but married to one, and your recipes never fail to help me not only impress my discriminating Bengali in-laws, but a long list of American and international friends to boot! THANK YOU BONGMOM!!! Made it last night along with your charchari recipe, turned out beautiful! Hi, Bong Mom. I have been an ardent follower of your blog. I stay in Kolkata and am currently doing my Master's from Jadavpur University. Anyway, made malaikari your way today. Though, I did not use store-bought coconut milk but went through the whole grating and pressing process. The result is that my whole family has over-eaten and are currently enjoying their 'robi-bar'er siesta'. You should add Oil as part of Ingredients needed and this dish tastes best when cooked with Mustard Oil as traditionally dine in Bengali homes.